Served blind at the chateau, it is amazing how well this wine performs in blind tastings. There is great clarity on the nose, you can almost smell those “caillou” in the vineyard, pure black fruits, freshly rolled tobacco, crushed stone and just a faint hint of Xmas cake (must be the time of season!) 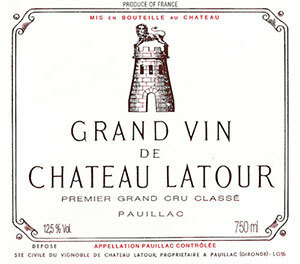 The palate is well structured with firm tannins, quite masculine even for Latour with cedar and graphite, underpinned by exquisite delineation on the finish. Wonderful. Tasted December 2009.